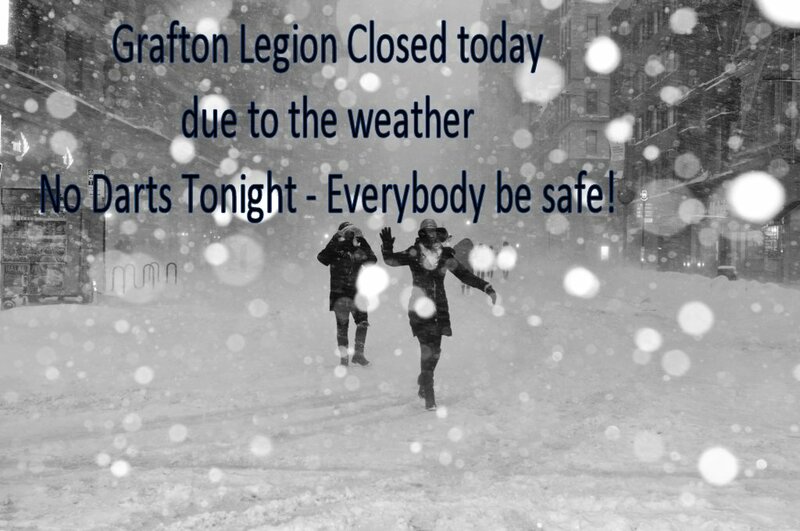 The Grafton Legion will be closed today, Tuesday February 12, 2019, due to the weather, which is only going to get worse tonight! There will be no Darts tonight. We’ll see what the weather has in store for us tomorrow.